Scoil Uí Chonaill GAA is borne of O'Connell School, which was founded on the principle of inclusion by two of the great fathers of modern Ireland; Ignatius Edmund Rice and Daniel O'Connell. The Club stays true to that legacy, and we accept all new members—for all levels of involvement—year-round! Visit the Contact Us page to find the most suitable person to reach out to, or learn more about the Scoil Story, what makes us special and our full list of teams. 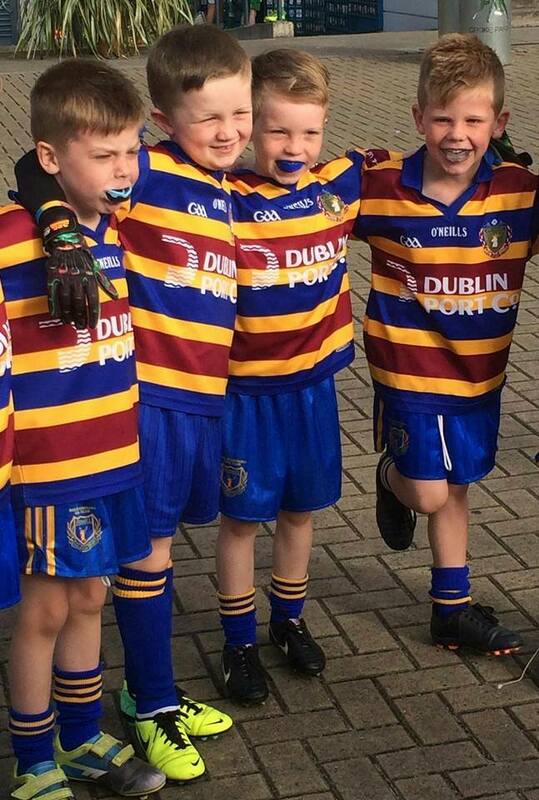 We are a family orientated club with a large focus on nurturing and developing our underage players. We have boys teams from under 8s upwards and we have girls teams from under 9s upwards. Each Saturday morning at 9.30am we open the doors to our nursery and welcome kids of all ages. We have an enclosed pitch which is a very safe environment for all kids to have fun while learning about Gaelic games. Any boys or girls from age 4+.